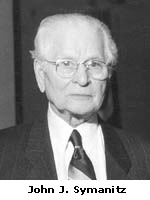 The Symanitz award was established in 1989 for recognition and appreciation of John J. Symanitz. John was known for his outstanding leadership and dedication to the health industry, support of community activities and lifetime of quality professional sales. The recipient of the award will demonstrate these same qualities in their personal and professional endeavors. The award is selected by a nominating committee made up of members of MAHU and presented at the MAHU Annual Meeting during the lunch program. Have a well-rounded background that represents the finest type of individual who has been community oriented and has shown significant support to all aspects of both personal and professional achievement. Personal characteristics that make this person stand out from other individuals in the industry. Name a task for which this person has displayed outstanding achievement. List this person’s personal achievements and professional designations for the health insurance industry, community service and continuing education. Dave Wiest is the President and CEO of EMEX Benefit Systems. EMEX has modeled its practice to help employers achieve their goals by dealing with Cost, Compliance and Communication. These are the three legs of the Employee Benefit stool of success. Dave entered the insurance industry in 1974, starting as an agent of Aetna Life & Casualty and then with Phoenix Mutual. In 1986, Dave founded EMEX Benefit Systems, Inc. EMEX was established with the idea that quality service and an advocacy approach will create long-term relationships and satisfied customers. Dave has been actively involved in MAHU as a Past Board Member, Past Treasurer, Past Executive Committee Member, and its Legislative Committee Chair. Dave was appointed to the Governor’s Exchange Commission’s working group on Adverse Selection. He also serves on the Steering Committee for The Agent’s Coalition for Healthcare Reform, a group that represents MAHU, NAIFA, The Big I and the PIA with over 22,000 members. Recently Dave was appointed to the Employer based Health Plans at NAHU. Dave is a ChHC (Chartered Healthcare Consultant), an advanced designation in Healthcare Reform from The American College. Dave is an Advanced Chartered Benefit Consultant (ACBC)designee from the National Association of Alternative Benefit Consultants and has received the LPRT designation for NAHU. Dave grew up in St Louis Park and has lived in Minnetonka since 1982. Dave has been involved in amateur baseball since 1962 and as well as playing until 1998 has served as manager and coach for both youth baseball and girls softball for over 20 years. Alycia has over 15 years of experience with best-in-class companies and partners in the health insurance, employer and broker markets. She is a board member of the National Association of Health Underwriters, a former President of the MN Association of Health Underwriters and has been interviewed by print, radio and television reporters regarding health care, the ACA, public exchanges and the employee benefits market. Alycia speaks to industry audiences on a variety of benefits-related topics, including: the strategic value of employee benefits, the value of wellness programs, private and public health care exchanges and the implications of health care reform for the benefits community, employers and individuals. Prior to joining legacy Willis in 2014, Alycia was a Senior Consultant in the Health and Group Benefits practice at Towers Watson where she consulted with mid to large sized employers about their human capital and employee benefits strategy, including plan design, benchmarking/consulting, data analytics, communication planning, wellness planning, private exchange and employee training and engagement. Alycia has also worked for two Minnesota health insurance carriers and a smaller insurance agency as an account executive, sales executive and consultant. Alycia attended the University of MN and Saint Mary’s University (MBA program). She currently serves on the National Association of Health Underwriters (NAHU) Board of Trustees as a Regional Vice President and is the Board liaison to the Vanguard Council, a group within NAHU that inspires & cultivates a community of thought leaders, innovators and trailblazers who are reshaping the healthcare industry through connections and mentorship. Alycia enjoys volunteering, biking, traveling, cooking, kayaking and spending time with her family and friends. Anne Andreasen was recognized for the many years of her volunteerism to MAHU and other charities, not to mention her dedication to service within our industry and to her many clients. Her efforts have greatly improved the health insurance industry through an extraordinary commitment of time, talents and professional experience. “The leadership of MAHU members has a far-reaching impact on providing for the healthcare needs of individuals, families and business in their communities. We are grateful for Anne Andreasen’s dedication to association volunteer service and recognize her for those efforts with this well-deserved award,” said NAHU CEO Janet Trautwein. Anne’s career started in 1976 in Illinois and continued after moving to Minnesota in 1983. 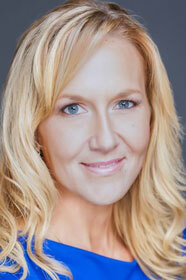 Anne has a diverse background in Case Management and was the Manager of Sales in a Brokerage Company. In 1993 she started an independent agency now known as A&A Insurance Services, Inc., serving corporate and individual clients. Giving back to her community is very important to Anne, she currently serves on the Charter Commission for the City of Plymouth and as a Head Election Judge. In addition to her MAHU Board position she is also the MAHU State Education Coordinator. “Anne Andreasen exemplifies the dedication to providing the best opportunities for our members through service to the association,” said Matt Feran of MAHU, president of Minnesota Association of Health Underwriters. Greg grew up on a farm in Iowa. During college at Iowa State University, he began an internship program with the Principal Financial Group, where he learned he really had a knack for the insurance business. After graduating, he transferred with the Principal Financial Group from Des Moines to their Saint Paul office. During the next five years, while working as a career planner, he began working in employee benefit programs. Again, fate stepped in and he found himself working more and more in this area. In 1998, he launched Sailer Benefit Services, Inc., an employee benefits brokerage in Saint Paul, MN. Greg is a Registered Health Underwriter, Registered Employee Benefits Consultant, and a Member of the Leading Producer Round Table of NAHU. He is a past president of the Minnesota Association of Health Underwriters, a published author, and lobbyist. Greg lives in Woodbury, MN with his fantastic wife Chris and their three rambunctious boys: Holton, Garret, and Jayden. To keep busy, he shares his hobbies of mountain biking, road biking, golf, tennis, spear fishing, and pheasant hunting. Al has been an insurance professional since 1980 and has been a member of MAHU (and its predecessor, MALU) every year since. He joined the MAHU board of directors in 2008 and served continuously through 2013. In 2012, Al chaired the MAHU convention committee. During his term, the event was transformed from a one-day event into a two-day event and was a very successful, well attended convention complete with a gala. The 2012 convention raised a record amount of income, which supports the activities of the association. In addition to building a successful business, Al and his wife Linda have been community activists in Wright County, having fought for the environment and against the expansion of a landfill and a garbage processing plant. He is an avid hunter and outdoorsman and a longtime woodworker. Roger Jorgensen has been in the insurance and benefits administration industry for 30 years. Originally a health and beauty aid representative for Alberto Culver, Roger was recruited into our industry by Mike Maguire in 1982 to sell a multiple employer trust for Association Center Inc. Mike Maguire, RHU insisted that Roger become part of the National Association of Health Underwriters and the local chapter of M.A.H.U. After several years he worked for Richard Larson in the St. Paul Agency of Banker’s Life (Principal) where he was recruited by Diana Tortelli to work for Employer Health Insurance. Roger is a Registered Employee Benefit Consultant and a Registered Health Underwriter, designations earned through the American College. Recruited to play basketball by Auburn University he spent two years in Alabama but then transferred to the University of Wisconsin- Oshkosh where he graduated with a BBA in Marketing. Concerned at the future of health insurance he enrolled in the Alfred Adler Institute of Minnesota and earned a Masters of Arts in Adlerian Psychotherapy and Counseling in 1996. Roger has a rich employee benefits background of fully-insured, self-funded, Section 125, COBRA, HIPAA, HRA and now HSA. He is a member of the National Association of Health Underwriters. He served as President of the Minnesota Association of Health Underwriters in 2007-2008. 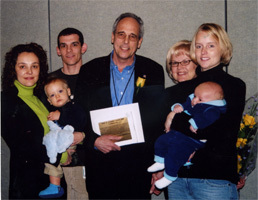 Roger received the Region IV Leadership award in 2007-2008. He served as Region IV HUPAC chair from 2008-2011. Roger works for Alliance Benefit Group, Albert Lea. He offices in the Alliance Benefit Group office in Eden Prairie, MN where he serves as Director of Marketing for COBRA, HSA, FSA & HRA Services. Roger also teaches classes at Kaplan on various benefit topics including: Health Savings Accounts, Health Reimbursement Arrangements, Flexible Spending Accounts and Healthcare Reform Legislation. Roger lives in Eden Prairie with his wife of over 30 years, Karen. They have two adult children daughter Kelly married to Kris Alpers and son Jesse a recent graduate of Kansas University. Roger and Karen attend Grace Church of Eden Prairie and are involved in mentoring young married couples. And most importantly, Roger is a share holder of his favorite football team, the Green Bay Packers. Tom began his career in the Employee Benefits industry in 1978 as a Group Sales Representative with Northwestern National Life (ING). After eleven months in training, he then spent three years in Washington D.C. selling self-funded Taft-Hartley benefit plans. He then joined Guardian Life Insurance Company and for the next fourteen years was Regional Manager of the Minneapolis Group Office. 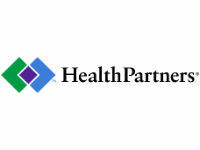 Tom left The Guardian to become Large Group Sales Manager for HealthPartners. While at HealthPartners Tom was responsible for a $300,000,000 block of medical business written through agents and brokers. 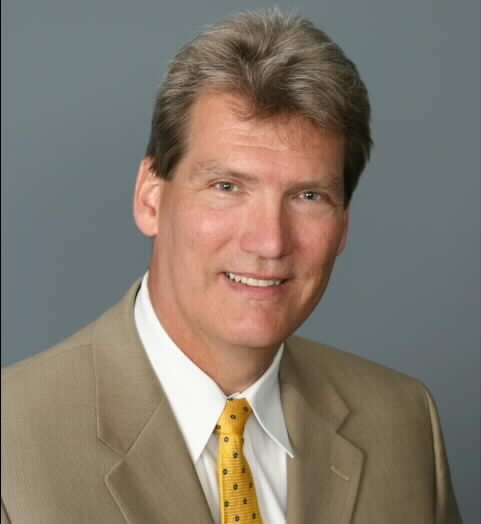 In 1998, he created his own Employee Benefits agency - Aslesen Benefit Resources, Inc. After a merger with another benefits firm, his agency became Accord Benefit Resources, Inc.
Tom has been a member of both the National Association (NAHU) and Minnesota Association (MAHU) of Health Underwriters since 1985. Tom currently serves on the Board of Directors of the Minnesota Association of Health Underwriters and is involved with strategic efforts for MAHU as Co-Chair of the Legislative Committee. He is a charter member of the Professional Resource Group and longtime supporter of Citizen’s Council on Health Care. Married to Barb for 27 years, they have four children; Eric, Luke, Hannah and Charlie. He most enjoys God’s leading him in various ministries involving the poor and homeless, with his wife Barb. His favorite activity is spending family time at the lake. Following his kid’s athletic activities is also a great part-time job! He has always believed that MAHU plays an important role in any member’s career development and growth as a professional. 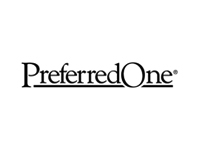 Tom believes this organization has a wonderful group of brokers, agents and representatives, all interested in bringing personal value and insight to their clients. Professionalism is the key ingredient we all have an opportunity to contribute to our Association. Few agents have given the amount of time, effort, and financial resources as has John Tyler from Boys and Tyler Financial Group, Inc. to the legislative concerns of the Minnesota Association of Health Underwriters. Tyler serves as the Chair of the Offense Committee on the Legislative Committee. For more than two years, Tyler has worked to refine the legislative language that will advance a key component of the MAHU legislative agenda. He has attended dozens of meetings with legislators, regulators, coalition members, and MAHU members. He is a leader and innovator in the sales and provision of health insurance products and services, through his agency, as an advocate of consumer-driven health plans. Greg Dattilo, a longtime analyst and commentator on the U.S. health care system, has served for more than 34 years as an employee benefits consultant and is the founder of two successful firms, offering health insurance coverage to thousands across the nation. 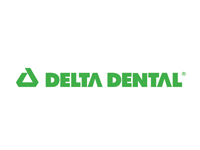 After evaluating the performance of various health care insurers and health coverage for decades, and assessing the performance of delivery systems, Dattilo feels he can recognize quality and identify the critical issues in health care. To see Greg’s full bio, click here. Gary H. Wert grew up in southwest Minneapolis and graduated from Southwest High School. He graduated from the University of Minnesota and was a member of the Big Ten championship golf team. He became an assistant golf professional at the Town and Country Club in St. Paul, MN. He entered the life insurance business in the mid-1970s with the Wheeler Agency of Northwestern National Life. When NWNL eliminated their career agency program, Gary started his own agency. Unison, Inc. was founded in 1980 by Gary Wert, under the name Gary Wert and Associates. The agency started out with two people and it specialized in small group insurance. Focusing on client service and technology, the company continued to grow by adding new employees with unique talents and varied experiences related to the delivery of employee benefits. In 1998, the company changed its name to Unison, Inc. Management felt that this name reflected its efforts to provide a coordinated strategy of working with employers, employees, and insurance carriers. David Reid became a partner and vice president of the company in 2001. In 2002, Unison launched its online benefits communication and enrollment system. In 2005, Unison formed a new division that was named Apprize Technology Solutions. David Reid became president of Apprize, Doug Luick became president of Unison and Gary Wert became CEO of both divisions. Gary is active at Mount Olivet Lutheran Church and the Edina Country Club. He is an avid golfer, hunter and fisherman. He’s a great family man, citizen and human being. Tom Devine is the Executive Vice President of the David Agency Inc. Insurance Company in Edina, MN. He is the fourth generation of his family to be in the insurance business in Minnesota and he just completed his 32nd year in employee benefits, health, life, disability and long term care insurance. Tom was a pioneer in the delivery of LTCI as a part of employee benefit packages and it is currently his professional focus. Licensed in 42 states, he has been actively engaged legislatively in all aspects of both LTCI and health/benefits issues at both state and federal levels. He served as Past President of MAHU 2004 and was chair of the 2003 Sales Congress. Tom lives in Chanhassen with his lovely wife Pam, who also works along side Tom in the promotion and education of Long Term Care Insurance. They have three sons; Jake, who lives in Albany, New York and is the National Account Sales Representative for Sony-BMG; Kenny, who is 14 and Andy who is 12, both boys attend Minnetonka Middle School West. Tom spends his free time mentoring the boys on their journey in Scouting: fundraising, campouts and merit badge projects. His continuous quests of antiques, relaxing on Lotus Lake and participating with his son’s sporting events, along with cheering on the Minnesota Twins fills out the balance of his waking moments. 2006 Recipient: William (Bill) G. Haas Jr. In 1971 Bill started his insurance career with Prudential Insurance and was a member of the top sales teams for 5 years. Bill was promoted to Sales Manager. In 1981 Bill set up New Life Insurance Agency to learn the property & casualty business and gain agency experience. In 1984 he sold the agency and went to work for Sentry Insurance as a Life & Health Specialist. Bill was responsible for Life, Health, Pension, and Equity Sale in the five state area. He worked with 75 agents & was the leader in pension and life sales for the Company. In 1991 Bill became the Director of Marketing for MN Chamber Business Service. 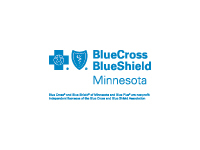 In 1991 he also became a member of MAHU and the Agents Coalition due to the changes being proposed in the new MN Care Law because he realized the need to protect the insurance business from politicians. 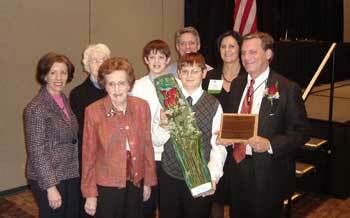 In 1992 Bill was elected to the MAHU Board & served as a Board member for 8 years. In 1993 Bill set up Haas Managed Benefits. Appointed to the Champlin Park & Recreation Commission in 1976, served for 8 years as Chair & Vice-Chair of the Commission. Served on several committees at the local school District. Responsible for setting up a safe Holloween alternatives program for children. Secured funding to purchase new playground equipment & modernize the school building. Mayor of Champlin from 1984 to 1992. The first two years worked with citizens to plan and designed the cities growth based on citizen input. Developed new planning & zoning ordinances, building design standards, cleaned up the city, up scaled the housing and started a new business development effort. In 1984 the population was 7,000, by 1992 it was 19,000. Authored and passed the law to change the 1992 MN Care Law. Authored much of the legislation in the past 10 years that related to the insurance industry. During his tenure he had five bills that became national models for other states to implement. Given difficult bills, by leadership, to get passed into law caused him to be referred to as the "heavy lifter" in the house. Became a leader and go to person for insurance related issues at the Capital. Put together bi-partisan support to pass the needed health insurance reforms. Director of his church’s Children’s Church Program for 6 years. Worked with pastors to locate and start 6 churches in Champlin. Worked with the pastors and the police to set up a Chaplin’s Program. In 1985 became an adult sponsor for the U of MN water ski team where their daughter started skiing at age 12. Promoted the team and set up water ski shows around the state. Spent the summers traveling to ski shows for the next 7 years. Marian J. Carpenter, assistant vice president and health and welfare consultant with Aon Consulting Mpls., has received the John J. Symanitz Award from the Minnesota Association of Health Underwriters (MAHU). Sandra Schlaefer, current MAHU chairman of the board presented the award at the 62nd MAHU Annual Sales Congress, held at the St. Paul RiverCentre on January 15. Marian is only the fifth woman to receive the honor, which has been awarded since 1989. Her dedicated participation in numerous industry and community organizations, including MAHU, the Agents Coalition for Health Care Reform, and Chambers of Commerce in Chanhassen and Victoria, was a contributing factor in her selection for this award.